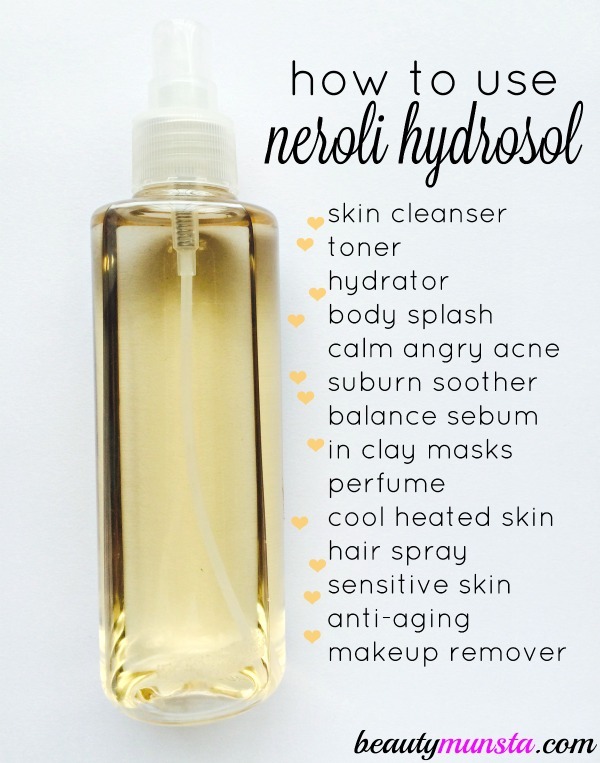 Here are my favorite ways on how to use neroli hydrosol for skin, hair & beauty! 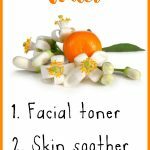 Neroli flowers (or orange blossoms) are used to extract neroli hydrosol or orange blossom water, a sweet & citrusy floral hydrosol that not only smells gorgeous but also has many beauty benefits for flawless skin and beautiful hair. 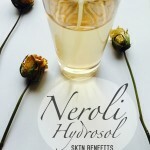 In this post, I talk about some of my favorite uses of neroli hydrosol for skin, hair & beauty. Cleansing – Neroli hydrosol has a deep skin cleansing action that drives out stale sebum, dirt and pollution from deep within the pores. Instead of plain water use neroli hydrosol which contains alpha hydroxy acids that help exfoliate skin and remove impurities. Anti-inflammatory – The anti-inflammatory properties of neroli help soothe and calm skin inflammation including acne, eczema, psoriasis, etc. Antibacterial – Another reason why this hydrosol is excellent for treating acne and itchy skin issues is its antibacterial properties. Cooling – Spray some neroli hydrosol on your heated skin and you’ll experience the most wonderful cooling sensation! 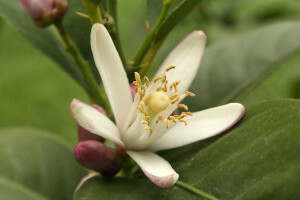 Astringent – Being extracted from flowers from the bitter orange tree, there’s no surprise that neroli has natural astringent properties that all citrus hydrosols and essential oils including oranges, bergamot and lemon possess. Antioxidant – The powerful antioxidants in neroli hydrosol ward off pro-aging free radicals that promote early wrinkles and fine lines. Regenerative – Neroli is rich in vitamin C, which is known for its collagen boosting and cell turnover properties. 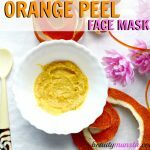 It helps regenerate damaged skin including sunburns and scars. In the properties above, we saw what makes neroli hydrosol excellent in cleansing skin – its pore-purifying and exfoliating properties work in loosening dirt and grime from the skin. Spray a cotton pad with the hydrosol and use it to wipe away dirt, stale oils and pollution from your face. If your skin is super sensitive to soaps, even mild cleansers such as castile soap, then this method of cleansing might be the only working solution for you. Having oily and acne-prone skin requires using a toner to prevent over production of sebum. 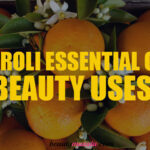 Neroli hydrosol is also good for reducing a puffy face as well as lifting and tightening saggy skin. To use neroli hydrosol as a skin toner, simply store in a spray bottle and spritz on your face after cleansing and patting dry. Rub it in your skin to improve circulation and stimulate lymphatic drainage. Neroli hydrosol serves as a refreshing natural facial mist. After applying makeup, gently spritz it on your face and dab with a cotton pad to ‘set’ the makeup, keeping your skin matte as well as giving it a fresh and dewy glow, instead of a caked up look. Even though my skin is acne-prone and more on the oily side, many a times after cleansing my face I notice how dry and flaky my cheeks become! When this happens, I go ahead and apply neroli hydrosol on those areas alone and rub in to instantly plump up the dry skin, making it soft and supple. Cheek acne tends to be red and inflamed most of the time. Spritzing cooling and soothing neroli hydrosol helps immediately calm down the hot, irritated and sensitive skin. A hot summer night can cause extreme restlessness and insomnia. My solution is spraying a hydrosol be it rose or orange blossom on my neck, upper back, wrists and thighs. After doing this, I feel so cooled down and sleep comes easily. Got oily and shiny skin? If you find your face becoming greasy and shiny towards the end of your day at school/work, here’s a simple tip from me – keep a small spray bottle filled with neroli hydrosol in your purse/backpack. When necessary, dab your face with a paper towel or gentle facial cleanser wipes then spray neroli hydrosol on your face and dab again to remove wetness. Tada! 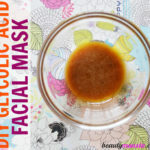 No more oily or shiny face! The delightful citrusy + floral aroma of neroli hydrosol makes it one of my beloved natural body splashes. After a shower, I love spraying neroli hydrosol on my skin for a refreshing and beautiful scent that leaves me smelling amazing! You can also spray neroli hydrosol on your clothes or possessions to keep them smelling lovely! Even if your room smells a bit musty, whip out your neroli hydrosol spray bottle and spritz it a few times in the air for a lingering citrusy floral aroma. Want to hydrate dry brittle hair, add shine to dull locks, smooth out flyaways, set your hairdo or simply give your mane a gorgeous scent? Then spray neroli hydrosol and ditch commercial chemical-laden hair sprays! Boost the nutritive benefit of your clay/mud facial masks by using neroli hydrosol as the liquid ingredient. It not only feeds skin with its powerful antioxidants and nourishing nutrients but also counterbalances the harsh detoxifying or pore-cleansing properties of the clay/mud used as well as helps regenerate damaged skin cells. 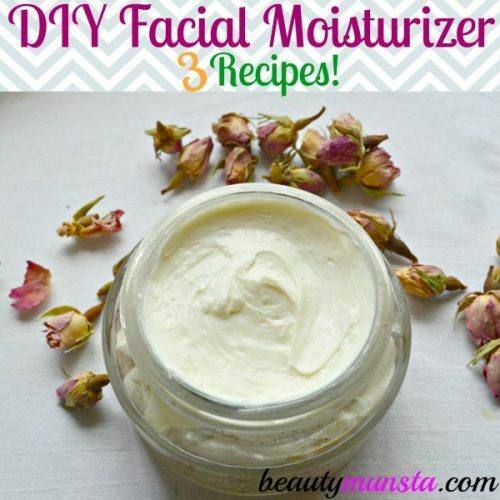 In the homemade face cream above, I used rose hydrosol, however, you could easily substitute it for neroli hydrosol for an uplifting scent! Click on the image to go to the post, by the way! Instead of distilled water, add neroli hydrosol in your homemade lotion or facial cream recipes for a more liquid consistency. 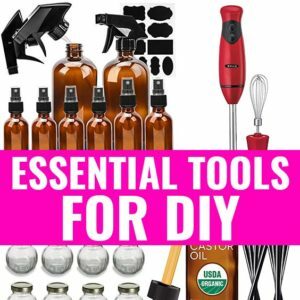 I normally use rose hydrosol in my DIY beauty recipes but neroli hydrosol is a close alternative! For a romantic and feminine scent, use rose hydrosol and for an uplifting quick pick-me-up, use neroli hydrosol! Refresh and heal your sunburned skin with neroli hydrosol! Its rich vitamin C content boosts collagen production and cell regeneration while its refreshing properties cool and soothe hot stinging and painful skin. Store it in a spritz bottle and simply spray on the affected areas when needed. Can’t stand using oils such as coconut oil to remove your facial and eye makeup? I admit, it stings rather badly when you get some into your eyes. Then try using this amazing skin cleansing hydrosol instead! Get a cotton pad, spray on some neroli hydrosol then use it to wipe off makeup. Use two separate cotton pads for eye makeup. It’s tricky to buy floral waters/hydrosols because you can easily end up buying a flavored water or artificial product! That’s why please buy from trusted sources! Make sure to buy 100% pure and organic orange blossom water. 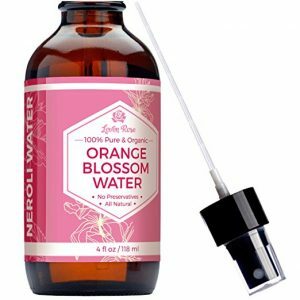 I like and recommend Leven Rose’s 100% Pure and Organic Orange Blossom Water! It’s the real thing and even comes in a spray bottle for easy application! Use it for your face. If you want orange blossom water in large quantities for baths, facial steams and hair rinses, buy Cortas Orange Blossom Water. It comes in a 10 oz bottle and is food grade! Mild and gentle as it is, please ensure to use a test patch by spraying neroli hydrosol on your inner wrist/elbow to check that your skin will not react negatively to it. Monitor the area for about 6-12 hours. If you notice any redness, rash or irritation, please immediately rinse off with warm water & a mild soap and do not use neroli hydrosol on your body.